Jeffrey E. Ritter is a partner who focuses on transactional law with an emphasis in banking, commercial lending, commercial real estate and corporate organizations and acquisitions. Jeff has a track record of representing numerous national and regional lenders and syndicated institutional groups in connection with structured oil and gas, agricultural and commercial financings. Before moving to Amarillo, Jeff spent a decade practicing corporate and securities law in Oklahoma City. His extensive knowledge of public and private securities offerings, including oil and gas, real estate and other commercial ventures, make him a valuable asset to his clients. Jeff has provided counsel to a vast number of financial institutions regarding initial financings and multi-party restructuring. He currently represents a major university in the review of the legal aspects of its endowment investment portfolio. Jeff’s experience and ability to deliver results to his clients have also allowed him to handle securities arbitration matters. 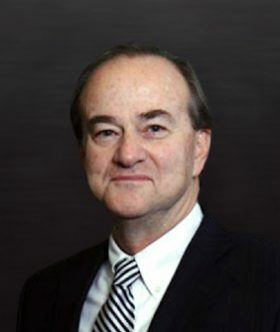 He has served as an arbitrator on New York and American Stock Exchange arbitration panels. Jeff received his B.S. in Accounting from Oklahoma State University. He went on to receive his J.D. from the University of Oklahoma. While in law school, he served as Editor of the Oklahoma Law Review.